Sony's PSP shipments have already ceased in North America, and will be phased out worldwide by the end of the year. The classic PlayStation Portable was replaced by the Vita two years ago, but internationally sales hadn't fared too badly. Even last September, two of the top 20 handheld games were PSP titles; an impressive feat a generation after its heyday. Regardless, it was only a matter of time before Sony pulled the plug, and the manufacturer has now confirmed that worldwide PSP shipments will cease later this year. North American shipments already ended last January, but other regions continued sales for several months. Deliveries to Japan will conclude in June, while Europe will hold out for a bit longer. By the year's end however, the only place you'll find a PSP is at used gaming stores and online marketplaces. While the last days of the PSP won't be as bittersweet as the PlayStation 2's swan song, the handheld had a good run nonetheless. First launched in 2004, the PSP went on to sell an estimated 76.3 million units, making it the ninth best-selling console of all time. The system still faced its share of difficulties: Sony had hoped to replicate the PS2's monstrous success as a movie player, but customers weren't interested in repurchasing UMD films at full price. 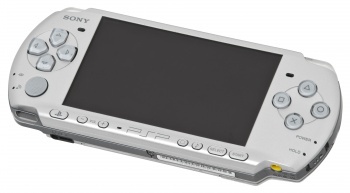 The PSP also faced strong competition in its later years, not just from Nintendo's DS, but mobile gaming markets that Sony hadn't prepared for. I haven't played my PSP in a few years now, but I do have many fond memories with it. Being able to experience Grand Theft Auto and Star Wars: Battlefront on lengthy bus rides was a blast, and it first showcased the remote play features that today's Vita was able to expand on. While the gaming world has certainly moved on, the PSP was still an impressive handheld unit for its time. I, for one, can't help but feel a little sad to see it go. I remember when I first got mine. I was so excited. Up until that point, I only had a gameboy color and a very used Advanced SP, which I loved both, but the PSP had quality unparalleled in the handheld market. The first game I got was Need for Speed Most Wanted: 5-1-0, which was a very watered down version of Most Wanted on PS2/Xbox. Next was the remastered version of Valkyrie Profile, and soon my collection expanded. My favorite game by far was Metal Gear Solid: Portable Ops, in my opinion THE closest representation of a MGS game on a handheld, though many people would argue Peace Walker was better. Eventually I did put a couple emulators on the PSP though, such as the gameboy color and gameboy advanced, as well as a PS1 emulator for those games that the Playstation Store didn't have available. The PSP still is an amazing system. I got a PS Vita only a few days ago, and I love it, but I'll admit my hype for it doesn't even compare to how excited I was for the PSP. Last time I checked the PSP was still outselling the Vita which is kind of sad really. I'm guessing that's one reason why they want to phase it out. Unlike the Game Boy, it didn't quite have the battery life to justify even bringing it for the bus ride, leaving it in sleep mode during school then resuming gameplay during breaks or on the bus ride back. In my experience, anyway. Not exactly very portable either unless you got huge pockets. So the PSP is being discontinued before either the DS or Wii even though it outsells them? (based on the last 2 quarters shipment data from Nintendo and Sony). Battery life was quite bad. The Vita is a massive improvement though. I bring my Vita to work, play some FFX HD on breaks, put it in sleep mode, and 6 hours later it still has full battery and the game picks up as if I didn't even put the system in sleep mode. As for portability, I didn't mind it's size. Sure, it didn't fit in pants pockets, but my jacket pockets did just fine, or I just had my messenger bag with me. However for most people I could see the problem. I remember the battle between the NDS and the PSP back in 2005. It was glorious. Granted, my favorite console turned out the NDS, the PSP hoped to win with raw processing power, ironically, my favorite PSP games were more simpler in graphical design, like Patapon and Locoroco, but also it had a couple of great looking titles, like the God of War games (especially Ghost of Sparta) and Peace Walker. So yeah, great console, it didn't have many games that interested me, but I still liked it and respected it regardless. Sony, you can't force people to like Vita by cancelling your other product. You have to actually make it good. It's got about 62GB of space, and it works better than any ipod I've had. Plus the 3rd Party software I use to play the music does FLAC/APE/etc. I still have my PSPs 1, 2 and 3 around someplace, but they don't see any use. The times I have turned them on they've needed charging from flat. I've only really played a couple of games on it over the years (properly played, not dabbled) and never picked up a Vita. Still, it's the end of an era, at least in hardware terms. Games may still continue on for a little while longer. If only the Vita didn't go with the proprietary memory cards, exorbitantly priced as they were. Not my cup of tea. I may still have a small gaming backlog on my PSP (made up entirely of JRPGs) and granted I only have my PSP because of that Birth By Sleep bundle, but the fact that it still the best music player I have used so far just makes news like this worry me a bit... I mean, are you sure they can't just use the same tech to form a music player akin to the PSP's music player? Or am I missing something here? Goodnight sweet prince. The PSP is actually a pretty good system if you happened to fall into the niche of players that it really supported (mainly meaning you liked quirky Japanese games and JRPGs). I really do feel that if the system had originally been designed with two analog sticks instead of just one it would have done much better both in terms of offering a larger variety of games as well as overall popularity. It was never going to beat the monster that is the 3/DS but it could have done much better than it did. My days of buying UMDs may be behind me, but I'll continue to buy PSP titles for download on my Vita. Can't download Vita games, not at one game per memory card. Damn those memory cards. I used mine as a one-stop emulator machine. Before I traded it in for a Sega MegaDrive 2. Nowadays I use an android tablet/console (basically a tablet with a full set of DualShock buttons minus L3 and R3) for that. Had some good times with the PSP, used it until it died. Maybe I'll get a Vita some day but right now I can't see much point to it. The PSP is the first thing that I bought, when I have got my first real job (not counting internships). It was a red God Of War Chains Of Olympus bundle. I played it everyday on the train... GTA, God Of War, Metal Gear, Rock Band, Patapon. When the PSP launched, the times were different. Today, everyone is looking at their smartphones the whole time. But, back then, having a PSP was something MAGICAL. The iPhone didn't even exist. To me, the PSP is the first Gadget, the first "smartphone". When people saw one, they wanted to know what it was, what games it played. Is it a portable PS2?! Can it connect to the internet? And it had an amazing library. Almost every good PS2 game had a PSP sequel (even if the quality wasn't always great). My favorite game by far was Metal Gear Solid: Portable Ops, in my opinion THE closest representation of a MGS game on a handheld, though many people would argue Peace Walker was better. Portable Ops is, to this day, still, my favorite game of all time. I'm not saying its the best game ever made. But it is my favorite. What makes Portable Ops unique is that it took the PSP's limitations (as a portable system) and made it work with the Metal Gear Solid's storyline, in which Big Boss was supposed to build an army. So we've got a stealth adventure about building and managing an private army! I obsessively captured the enemy soldiers, converted them for my cause and assigned them to jobs that really made me feel like I was commanding an unit. And the storyline of that game is one of the best in the series. You had a great run PSP! I will remember you fondly! You know what's weird? The first-run PS Vita had ceased production when the Vita Slim was released in Japan last year. This means that the device that was supposed to replace the PSP had already had one version of it come and go before the PSP itself was retired. As an owner of both, I will say that they are impressive little gadgets, but Sony has this weird habit of just straight-up not supporting their portable devices. By the time they started pushing out advertisements for the PSP, it had existed long enough for the consumer market to have already decided on whether or not they wanted one. Also, have you met anyone who owned an Xperia Play? Neither have I. Another thing is that Sony, for whatever reason, weren't clear on all of the features with the PSP. When some of my friends purchased some used PSP's for Dissidia, they had no idea (until I explained it to them) that the PSP could remote-connect to the PS3, or that you can use the Playstation Eye as a remote-access security cam, or that it could play the digital download PSOne titles. They fully expected the hardware to essentially be a handheld PSOne, and were surprised that it turned out to be a watered-down PS2. One of the best things that added to the PSP's longevity was the stuff you could do with custom firmware. Having ScummVM in your pocket, on a dedicated machine that wasn't a smart phone, was a blast to experience. Then of course you have emulators and even the Adventure Game Studio runtime. You'd be amazed how well Yahtzee's Chzo Mythos series runs on the PSP (except for Trilby's Notes, for obvious reasons). I believe I have 3 PSPs still working (have to check, we may have acquired a 4th) and a Vita. I love all of them (Vita included) and use them regularly in rotation so as to keep the batteries in good shape and wear. Is it sad? Eventually it had to come about but yes. And its got a great selection of titles. Now I own most of the titles I want for the platform, and most of them will probably be collectors items one day (none are sealed though as I don't buy games to sit on the shelf).